Dealer Q&A: How Can I Improve My Search Engine Rank? Dealer Q&A: How Can I Improve My Search Engine Rank? Dealer Q&A: How Can I Improve My Search Engine Rank? 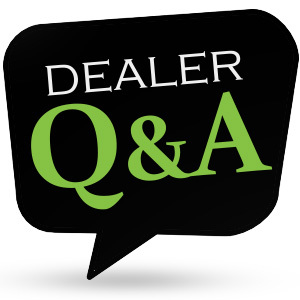 ARI’s director of digital marketing, Bill Wagner, answers real dealer questions in this regular blog feature. Keep reading for Bill’s tips on optimizing your SEO. My dealership is getting a very low traffic volume on our parts page, and we want to significantly increase that. What can I do to increase our search engine ranking and get more customers? Will submitting our sitemap to Google help? Submitting the sitemap through Google Webmaster Tools certainly won’t hurt your website, but Google has gone on the record repeatedly stating that sitemap.xml files no longer play a large role in their indexing algorithm. That said, if you’d still like to submit your sitemap, you can learn how here. The SEO landscape has gotten considerably more complex in the last three years as Google uses more artificial intelligence to power their search engine rankings. Earning organic search traffic is very competitive and requires a sustained commitment as Google removes all the old quick fixes that used to increase site ranking for your chosen keywords. The SEO landscape will continue to increase in complexity with the explosion of GPS-enabled mobile searches, voice search through Apple’s Siri and Microsoft’s Cortana, and Google’s strategy of being able to answer plain English search questions. The best way to get consistent SEO results is to provide really good answers to the most common questions your customers have. Page authority and relevance are king in SEO right now, so showcasing your expertise online has never been more important. ARI’s Endeavor website platform allows dealers to build custom pages that highlight answers to common questions, differentiate your dealership from competitors or feature short-run promotional activities. If you have unique products or services or can provide answers to unique questions, including custom pages will help you compete against larger, more established vendors that have similar products for sale online. As an example, one of our more successful dealers has a parts business that specializes in Gen 1 Honda GoldWing carburetor rebuild kits. That laser-like focus allowed him to carve out a niche and Google has recognized his efforts and rewarded him with good SEO results. Have a question for Bill? Email seo@arinet.com.